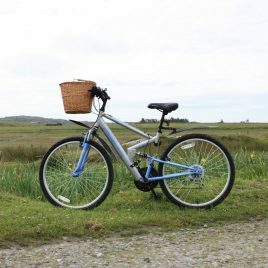 Go cycling in Connemara and experience the beauty of landscapes, seascapes villages and islands. 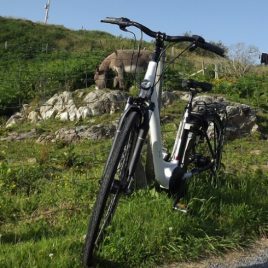 Exploring Connemara by bike is the best way to experience all that Connemara has to offer. Cycling in Connemara has always been recognised as the ideal way to experience the area’s breathtakingly beautiful views while pedaling through a combination of dramatic mountain climbs or flat valleys that stretch for miles. Connemara is a great place for cyclists with quiet roads and a variety of routes taking in the wonderful coastal scenery, placid inland lakes and more challenging mountain roads. Clifden makes a good base for cyclists and is the hub for three looped cycle routes which head out to Roundstone, Cleggan and Ballyconneely. 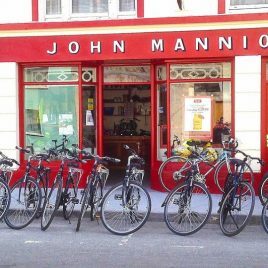 If you love cycling, but can’t bring your own bike, visit one of the dedicated cycle shops which specialise in top quality bike hire.